This class is the NRA Home Firearm Safety Class. This is a non-shooting course. 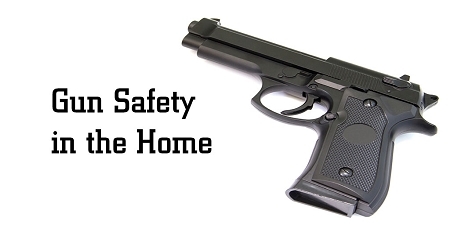 This teaches students the knowledge, skills, attitude necessary for the safe handling and storage of firearms and ammunition in the home. This is a four hour course for safe gun handling that is conducted in the classroom only. Students are taught NRA's three rules for safe gun handling, primary causes for gun accidents, firearm parts, how to unload different action types, ammunition components, cleaning, care, safe storage of firearms in the home, etc. Students will receive the NRA Home Firearm Safety Handbook, NRA Gun Safety Rules brochure, course completion certificate, etc.